Racers know there's a collection of equipment they're required to have if they want to go racing - a compliant helmet, head and neck restraint, race suit, gloves and shoes are mandated by most major sanctions if you want to go wheel-to-wheel racing. But the story doesn't end there. While you might be in compliance with sanction guidelines without them, these ten items are so vital to a successful day at the track that they might as well be in the rulebook. 1. 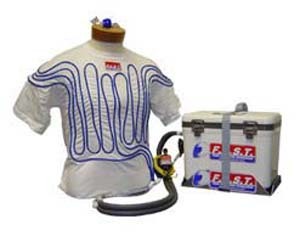 - Driver Cooling System: Even when the temperatures outside are bone-chillingly low, inside a race car the heat can still become overwhelming, especially during endurance races. As summer approaches and the weather starts to heat up, if you're planning some extended time on the track, a Cool Suit can stave off fatigue from heat exposure, helping you focus on your race and shaving those extra tenths off your lap times. 2. 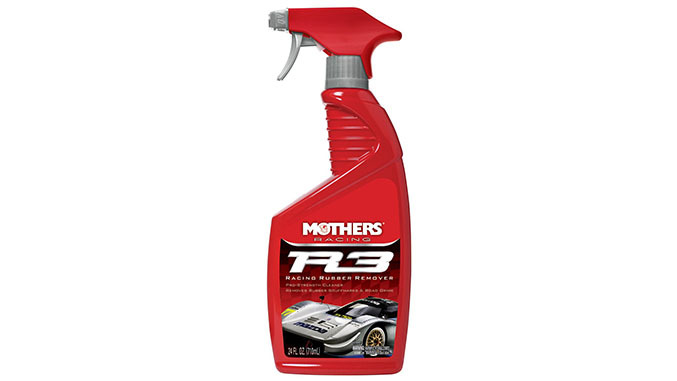 - Mother's R3 Racing Rubber Remover: If you head to the track on a regular basis and care about your car's paint, rubber remover is vital. A day on course will inevitably leave your car with pieces of racing tire embedded in the bodywork, and rubber remover makes the task of getting rid of it much less of a hassle - just spray on and wipe off. 3. - Rescue Tape: This stuff can legitimately save the day. In racing conditions you never know what can go wrong, and Rescue Tape might just become the difference between the podium and a DNF. Designed to work even on wet, dirty and oily surfaces, it can seal leaking hoses, help organize wiring, prevent corrosion on exposed metal fittings, and can even be used as an emergency fan belt if need be. At a cost of ten bucks, there's no excuse not to have Rescue Tape in your toolbox. 4. 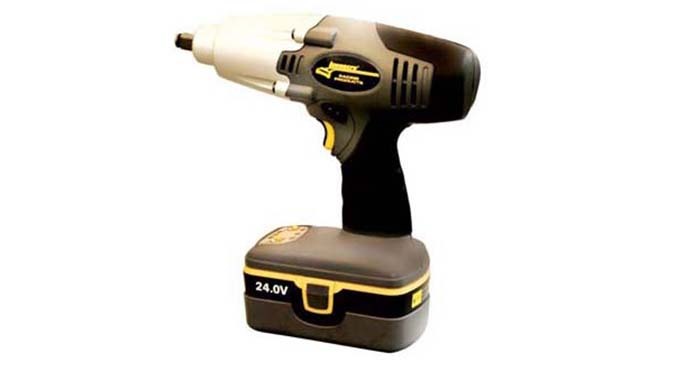 - Battery Powered Impact Wrench: Impact guns make the life of a mechanic a whole lot easier, and your crew will definitely appreciate the significantly reduced level of manual labor required with impact tools. Wireless impact guns take the mobility, convenience and ease of use of impact tools to another level. Any place you need to make a repair or swap tires, you can have the speed and ease of use of an impact gun with you, no air hose required. 5. 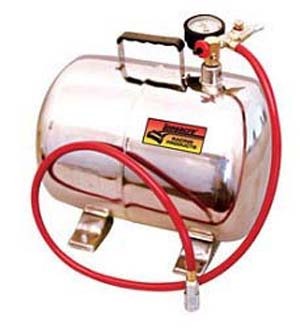 - Portable Air Tank: While we're on the subject of mobility and freeing ourselves from the air hose, a portable air tank can allow you to top off your tires where ever your pit happens to be without the need to drag hoses around the car or move the car to the location of the air pump at the track, saving you both hassle and time between run sessions. 6. 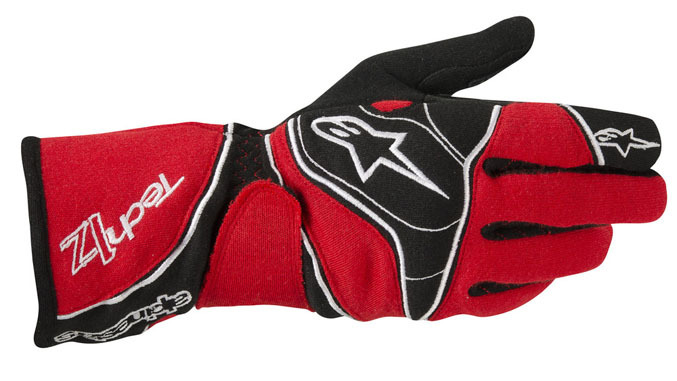 - Backup Pair of Gloves: Since gloves usually come off and go on many times during a race day, they're by far the easiest component of race gear to get lost or forgotten. Having a backup pair stowed with the car or with your tools just in case you need them could be the difference a great day at the track and a very frustrating one. Remember, if you don't have your gloves, you're not going racing. Need help choosing a pair? Check out our buyer's guide. 7. - Backup Pair of Shoes and Socks: If you're racing in wet weather or in especially hot weather, your shoes and socks can quickly get soaked through, which is both uncomfortable and not particularly ideal for the well-being of your feet. Accordingly, it never hurts to have an extra set of shoes and socks at the ready if you know you'll be racing under those conditions. 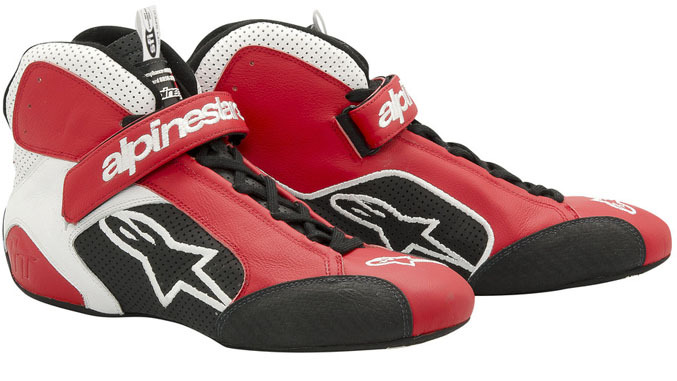 Have a look at our racing shoe buyer's guide for an in-depth overview of your footwear options. 8. - Backup Balaclava: Sweat-soaked socks are pretty gross. Now imagine taking those sweat-soaked socks and pulling them over your face. Not a pretty picture, is it? 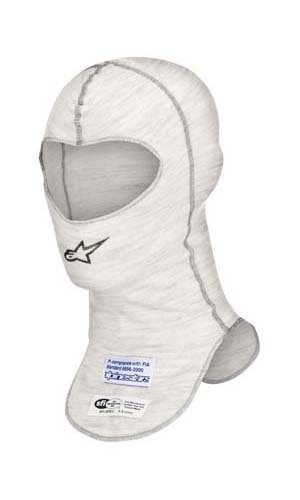 That's essentially what your balaclava will be like when you put it on again after a long morning session on a hot day. Do yourself a favor and buy an extra one - you'll almost certainly use it if you plan to run long sessions this summer. 9. 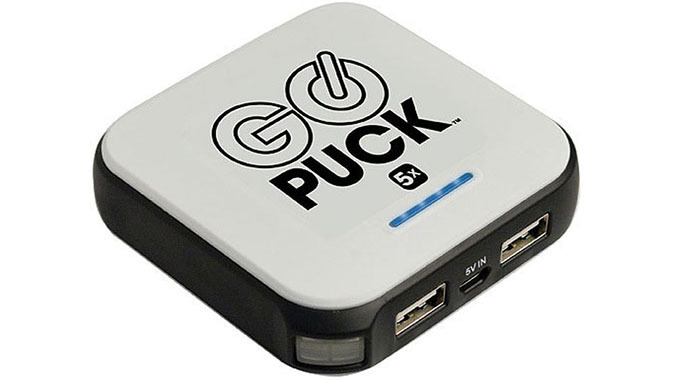 - GoPuck Portable Charger: We reviewed the Go Puck not long ago and found it to not only be extremely useful at the track, where power outlets can be few and far between, but also when traveling or really anywhere where power outlets and USB ports are scarce. We also noted it was able to charge an iPhone 5 faster than a wall outlet could, and its rugged design means it can handle the same kind of abuse as the rest of your racing gear. Highly recommended. 10. 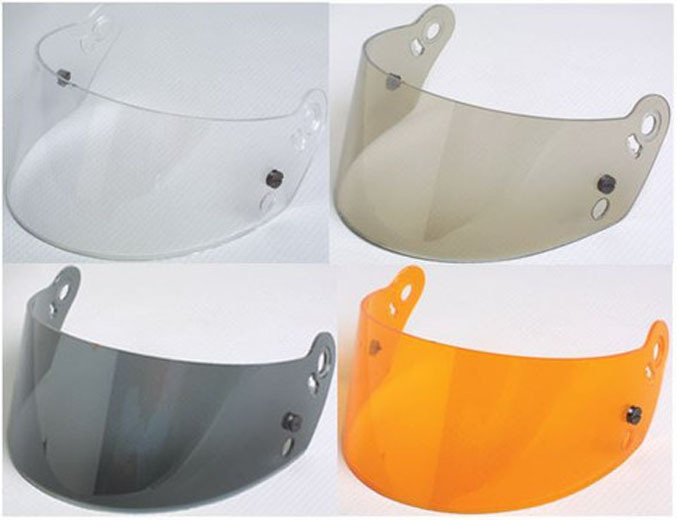 - Tinted Helmet Shield: Weather conditions can be hard to predict - just ask any meteorologist. So you never really know how much sunlight and glare you'll be contending with on a race day until you're actually at the track. Especially for those on open top cars, having at least one extra tinted shield along with your gear is truly essential. Don't know which one to get? Our replacement shield buyer's guide breaks it all down.